If there was one band who should have made it but hardly got over the first fence, let alone the final furlong, then Llandudno / Colwyn Bay’s Alien Matter are the ones. Formed in 1998 as a crossover American-Brit punk band fronted by Pete Hughes, who was flanked by bassist Richard Elson, guitarist Muff and backed by drummer Matt Jones. They hardly got over the first fence because of apathy, and that remained their biggest enemy for their five year existence. Before this, Muff and Pete had been jamming with Joe, who was Pete’s girlfriend’s brother but he soon left. Muff’s friend Diz set up a Liverpool based label called Quivering Rings and released an EP for the band called EP1QR2 in 1999 and Alien Matter became one of the first bands to make their music available on MP3.com. CCI magazine ran a feature about MP3.com and printed an article about the EP along with a photo of the sleeve. Muff was a lot older than the rest of the band being 36 when they started. He had played in all sorts of outfits in his native Cheltenham and adopted Llandudno, including bass for a country and western group and also sample based stuff with Diz, so many bands in fact, that he doesn’t really remember them. Matt left Alien Matter in the winter of 1999 when he turned up two days before a gig to say his amphetamine problem meant he couldn’t cope with the band. Pete Alien handled the news with what was to become a familiar way and wanted to kill Matt. Regardless of any threats Matt said his head was fucked and he couldn’t do it anyway. He was replaced by Sons of Selina’s drummer and former 4Q vocalist, Cumi Pants who immediately added an extra edge to Alien Matter. Cumi had spent the previous eight years honing his skills behind the kit in Franks Dad and of course with SOS, and is highly regarded as one of the best drummers the area can offer. He was soon recording with the band and they released the ‘Bad Earth’ EP, again on Quivering Rings, and it featured a more intense offering than the previous effort with, Bad Earth, Lazers, Rasputin, Possessed, No Knickers and Matador. The main criticism of their songs was that they were repetitive and because of Pete’s monotone shouted vocals, one song sounded very much similar to the other. This was however changing as Muff’s guitaring style was pulling the band into a more Johnny Thunders-New York Dolls direction while Pete was hollering away up front. The song Bad Earth remained a firm favourite through their career and was re-recorded twice, while No Knickers was steadfast in their live set and a real crowd pleaser, particularly when the song ends and turns into a version on 2Unlimited’s No Limits, but of course with the lyrics suitably changed! The biggest transformation for Alien Matter happened when Cumi suggested that the band should recruit his old sparring partner from Sons of Selina, Steve Sync as a fifth member on keyboards. They agreed and Steve joined in early 2000 and by the time of his debut in May it was evident that his and Cumi’s SOS background was having a major influence on the musical direction. The words ‘rare’ and ‘gig’ went hand in hand so far as this band were concerned and punters were lucky to witness more than three performances in any given year. This may have been down to a number of factors such as the inexperience to actually organise live events, total apathy and perhaps being over finicky as to their rehearsed status. This theory was perhaps the most plausible as Cumi, Steve and Rich were notorious about musical perfection to the point of it becoming a neurosis. Steve’s debut for Alien Matter was at The Madocs in Colwyn Bay in May 2000, a packed out evening with the added bonus of a very drunk Neil Crud hurling abuse, beer and gob at the band at any given opportunity. Muff left the band in October after playing the West Shore Social and a gig in Holywell. His reasons for departing were because of what Cumi described as, ‘mental turmoil, addictions and women problems.’ He was however of sound enough mind to get himself committed in order to get off drugs and went back to live in Cheltenham. He was last known to have been living in a pad with a rich woman, and also with Diz at some point, with whom he performed as a duo in Basel in Switzerland. They eventually recruited Gary Hubble Roberts who was a very talented guitarist from Llandudno who was playing in Hub and had three tracks on the MASE compilation CD ‘No Boundaries.’ Before this he had been involved with the Blaenau band Fuzzy Duck. Gary added a very hard full-frontal assault with his instrument, in stark contrast to the psychedelic-punk leanings that Muff used to offer. A new set was unveiled at the Breeding Ground in Rhyl in March ’01 and it showed the band were setting an agenda. Pete Alien usually shrank on stage, but his confidence was growing as well as his persona, and the show was regarded as a huge success by a band ever so critical of their playing. The crowd thought so too. Gary contacted the band the following morning to say he wasn’t into being in a band anymore and quit. Pete of course was going to kill him. The guitar position was half the band’s problem, and to rehearse for three months with someone new only to be blown out after one gig must have been so frustrating it wasn’t a wonder that the rest of Alien Matter weren’t queuing up behind Pete to ensure Gary was properly dead! His style was somewhere between Muff and Gary Hubble, which complimented the band as their set became more and more like a punk Sons of Selina as Steve’s influence and keyboard sounds grew. Their next gig was at the Breeding Ground in July ’01 and after initially tripping the power on stage by spilling a pint on the amp, Alien Matter burst into life in front of a huge red and yellow backdrop that simply said ‘Cunts’. Vocalist Pete has not only come out of his on stage shell, he’s smashed it to pieces to emerge as a confident spit-u-in-the-eye front man, flanked by Limahl on guitar and cynical bass playing by Rich. Alien Matter do possess a certain quality and when they jam out their songs it works really, really well. The punkier songs in the set would work better with that added dimension, but of course they can practise that for the next 6 months in the Chiller. 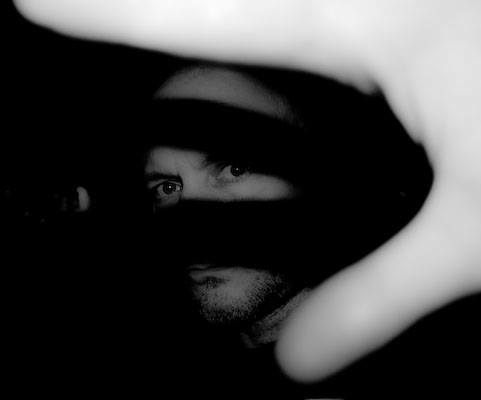 In March 2003 Bad Earth was played on BBC Radio Wales by Adam Walton and was featured on Poisoned Whiskey Records’ Anti-War CD released the same month and Adam soon invited them to record a storming four track session for his show after reading a glowing review the link2wales website. ‘I’m glad I saw Alien Matter play live in Rhyl in October 2003 as it turned out to be their best and final gig.’ Said Neil Crud. 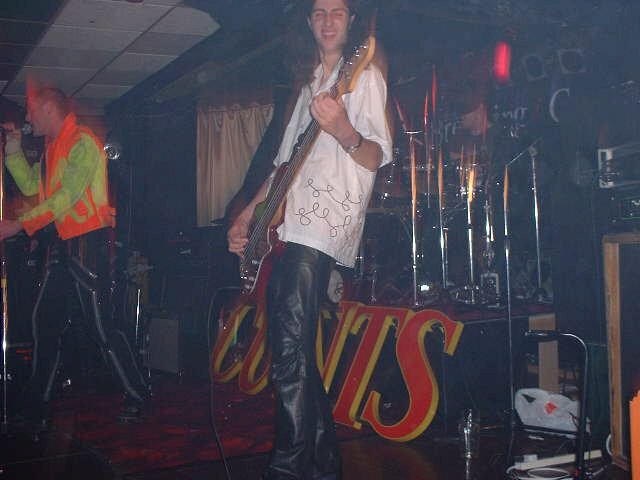 The Cumi-Steve collaboration followed a similar pattern from Sons of Selina to Alien Matter and then onto The Affliction, where Cumi would join a band and Steve would soon follow. The pair of them joined Dusty Moonan and Steve Crilly in the line up of a long running project called The Sympathetic Affliction, making their live debut at Bar Blu in Rhyl in April 2005. Dusty and Crilly were in a band called Babakin who supported Sons of Selina on their debut gig in 1994, ironically Steve Sync wasn’t there, instead, enjoying himself at the Phoenix Festival. After a few false starts, mid 2005 saw Cumi, Pete and Gary Hubble hatch out a plan to resurrect Alien Matter. Steve had yet to rehearse with them and Rich was making a name for himself in London the his band Vamps And Gypsies.